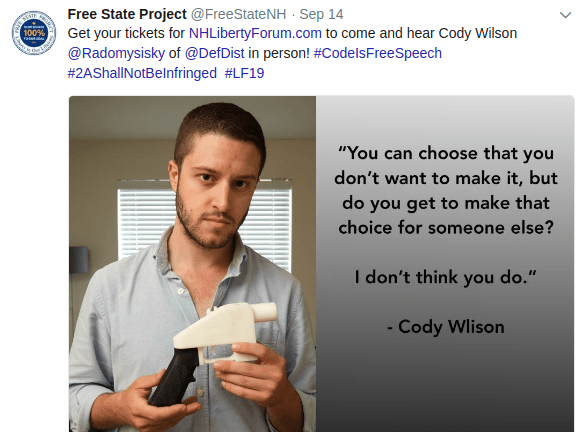 This blog has for more than a decade chronicled the ongoing NH Freedom Migration of libertarian-type folks moving to New Hampshire and getting active for liberty. Over those years, we’ve seen plenty of opposition by various people and groups of haters. Anonymous hitpiece blogs (all long since offline, so I can’t link them), full-color attack mailers, hate flyers distributed around town, and in recent years, actual real-life counter-protests and even seminars about libertarians and how evil we supposedly are. It’s truly an honor to be attacked. They say you don’t take flak unless you’re over the target. No one should be surprised that there will be vehement opposition when libertarians actually start making an impact as we have done here in New Hampshire. Most libertarians don’t understand what it’s like to be hated, because outside of New Hampshire, the libertarian movement is little more than a sideshow. They have near-zero impact with their political campaigns, and that’s about all they do besides argue on the internet. Here in the Shire, libertarian activists regularly get mainstream media coverage in newsprint, on TV and radio. Here we matter, despite the online trolls who spend their precious time trying to convince us we don’t. Of course, the fact that they spend such inordinate time on us is evidence against their own claims. As a result, while I did tender my resignation from the FSP, I still encouraged people to attend Porcfest both on my radio show and via a blog post at Free Keene. Now, one year later, the FSP has announced that John McAfee will be headlining Porcfest 2017. John’s a great guy and I had the pleasure of interviewing him last year at the D10E conference in San Francisco. He would have been a great pick for the OLD Porcfest. You know, the once-great Summer libertarian camping festival with open cannabis use, unlicensed food sales, and Buzz’ Big Gay Dance Parties? Last year that festival became “family friendly”, after years of prudish libertarians complaining about drug use and occasional female toplessness. To kick off the changes, I was banned from the FSP events because of my libertarian views on age of consent, according to their press release. It’s commonly known that my most recent girlfriend was a later-teenager and this supposedly infuriated key volunteers within the FSP, leading to my ouster. 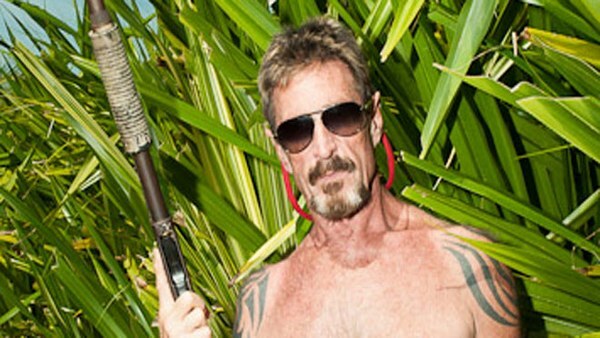 Did you know that John McAfee was in his late 50s when he had a 16 year old girlfriend? According to the same WIRED article, at age 66, one of his multiple live-in girlfriends was 17! Surely plenty of men secretly wish they could do the same, while outwardly condemning John for his attraction to young women. To be clear, I don’t want John to get banned from Porcfest, nor do I have any interest in being part of the FSP. I just want to point out the glaring, laughable hypocrisy. People who love liberty should probably still attend Porcfest, but it’s getting harder to recommend that, given that the event length this year has been chopped in half but the price hasn’t lowered one bit. As was reported previously here, Free Keene blogger Darryl W Perry was recently elected as chairman of the Libertarian Party of New Hampshire. A member of the LP’s “radical caucus”, Darryl holds a supposedly “radical” belief: he does not support or advocate the use of the initiation of force to achieve political or social goals. 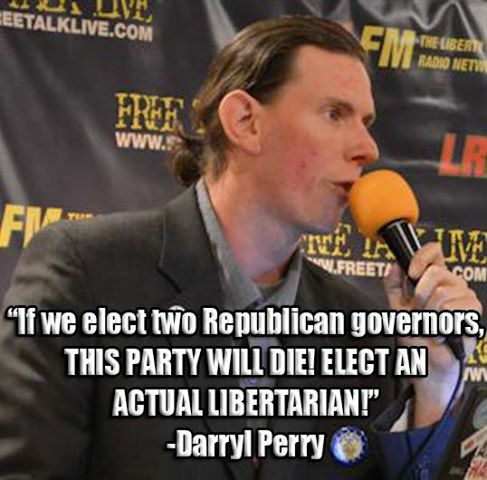 That belief, which is still the statement one must sign to join the national libertarian party, has made Darryl into an enemy of many within the national LP. There’s a whole group of so-called “libertarians” who disagree with this “Non-Aggression Principle” and have called for the party to eliminate it from the membership requirements. Darryl was recently blamed by these party-over-principle people for the Seacoast LP’s resolution to ask their representative on the Libertarian National Committee “to remove Gary Johnson and Bill Weld as the LP candidates for President and Vice President”. However, Darryl was not attending the Seacoast meeting. The motion was made by Rodger Paxton, who was recently elected to vice-chairman of the LP of NH along with Darryl being elected chair. A couple of days ago, Darryl announced he is reviving his libertarian campaign for president, this time as a write-in candidate. He says people frustrated with the LP’s embarrassing presidential and VP picks of former republican governors of New Mexico and Massachusetts Gary Johnson and Bill Weld had contacted him asking him to run again to give true libertarians a choice. Johnson and Weld’s public statements since their nomination have frequently been unlibertarian and at odds with the party’s own platform. Weld has even appeared to endorse Hillary Clinton rather than his own running mate! No one should be surprised to see the national LP double down on their unprincipled hack candidates. It’s the lowest point for the party in more than a decade of falling away from their principles. In 2008 I publicly resigned my life membership in the national Libertarian Party out of frustration with their lack of principle – then they nominated Bob Barr (another republican who has since re-joined the republicans) as their presidential candidate. The LP of New Hampshire, long in a membership and activist slump, recently received an injection of much-needed new blood in the form of Darryl W Perry and Rodger Paxton’s elections to chairman and vice-chairman, respectively. This is the first real exciting news to come out of the LP of NH in the last decade I’ve been here. Hopefully we’ll see the LP of NH separate eventually from the ridiculous national LP. Goddess bless those who have tried to save the national Libertarian Party, but the patient’s been dead for years. 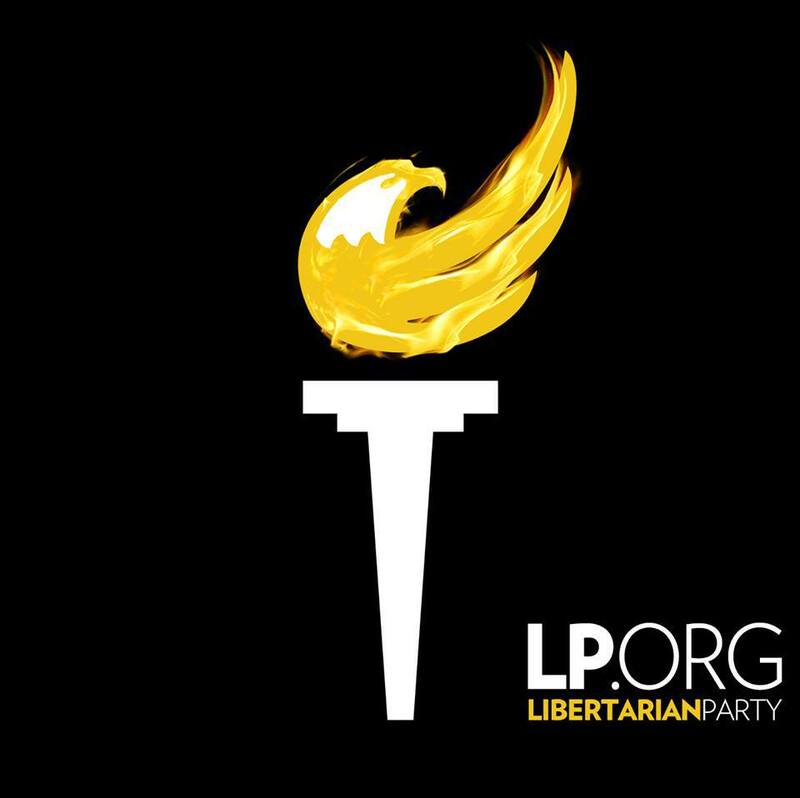 If you’re a real, principled libertarian, just give up on the national LP, move to New Hampshire and get active to help us achieve liberty in our lifetime. With the thousands of libertarians moving here for the Free State Project and Shire Society, you won’t want to miss the fun!